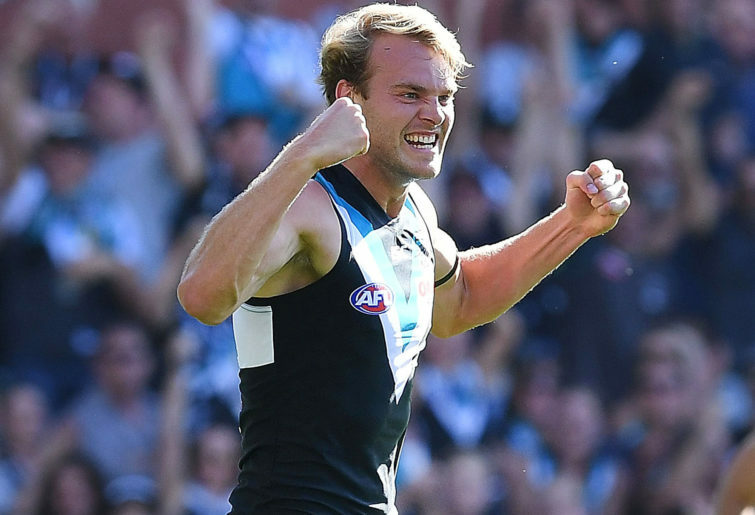 Season 2018 was an underwhelming one for Jack Watts in his first year at Port Adelaide and many probably think no surprise it mirrors much of his tenure at Melbourne. Traded to the Power for pick 31 at the end of 2017 the former Demon finished the 2018 season playing 19 games, averaging 14.1 disposals and just under a goal a game. In his Power debut Watts contributed with three goals and 20 disposals against Fremantle in round one. It was the type of output the Port faithful hoped would be a sign of things to come. 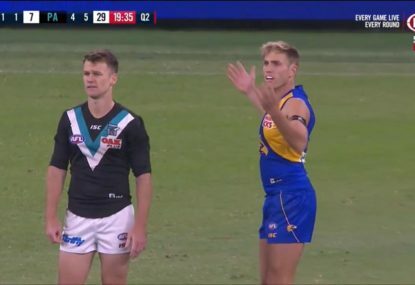 Sadly the former number one draft pick only managed to break the 20 disposal mark once more for the rest of the year and only kicked three goals in a single match on two further occasions. 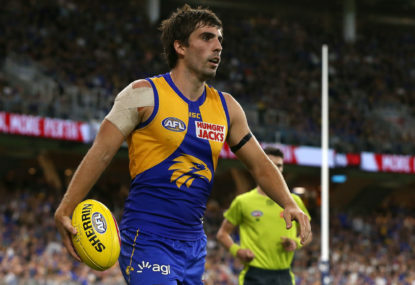 The inconsistent 2018 campaign was highlighted when the 27-year old was dropped for the Round 13 clash against the Western Bulldogs. Despite the axing Ken Hinkley stressed the much maligned forward still had a long-term role to fulfil. For all the faults of Ken Hinkley he will generally support his players in the face of criticism and certainly did so when Watts returned to AFL ranks after a stint in the SANFL. 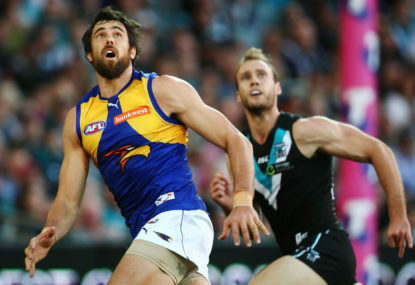 Reflecting on the 2018 season it is obvious the coaching panel has not worked out where to best utilise Watts who spent time forward, on the wing and across half-back throughout the season. A jack of all trades but master of none. 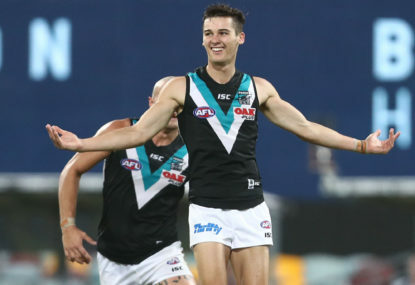 One thing that Port Adelaide desperately craves are players who can deliver the ball effectively and this was one of the key reasons the Victorian was brought to Alberton. In 2016-17 Watts was ranked #2 in the competition for effective kicks inside 50. He is not a player who will crash packs and intimidate. But give Jack the ball and he generally uses it well. 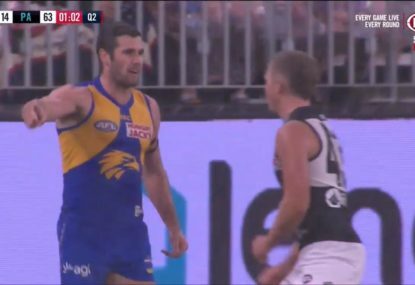 It has been an interesting off-season thus for Watts who has been in the spotlight with certain stories and allegations around off-field behaviour. Given the nature of these allegations I will tread carefully but it is certainly media coverage both player and club could do without. There are very few players in the competition who are scrutinised as harshly as Jack Watts and while not living up to the tag of a number one pick he has forged a decade long career at the top level having played 172 games. I am a realist. Jack Watts will not suddenly turn into a Brownlow medallist but with two years to run on his contact it is not too late to repay the faith shown by Port and to be a solid contributor with a clear and defined role within the team. 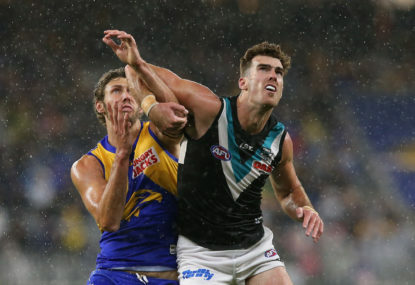 Port Adelaide defeated West Coast 13.17 (95) to 8.5 (53) on Good Friday at Optus Stadium, and here are my key takeaways for Port Adelaide.